The team at Dr. Caroline Krivuzoff-Sanderson is devoted to taking care of all your dental needs from children’s dentistry to tooth whitening. Your oral health and overall well-being are important to us. That’s why we take the time here to present helpful information about a range of topics affecting our patients. We encourage you to follow our blog as we add various articles of interest. We also welcome your questions and concerns. Please call our office or book an appointment with a dentist in Red Deer online. New patients are welcome. Even though dental disease is preventable, most Canadians will be affected by dental concerns at some point in their lives. Gum disease, tooth decay, nerve pain or other issues are quite common. Fortunately, there are many ways that the dentists at Red Deer dental clinics can treat a bad tooth. Keep reading to learn more about the options to repair a tooth. Is Dental Anxiety or Phobia Real? Having a genuine anxiety or phobia about going to their local Red Deer dental clinic is a very real thing some people experience and is nothing to be ashamed of. It is, however, something you should work with your dentist to overcome. 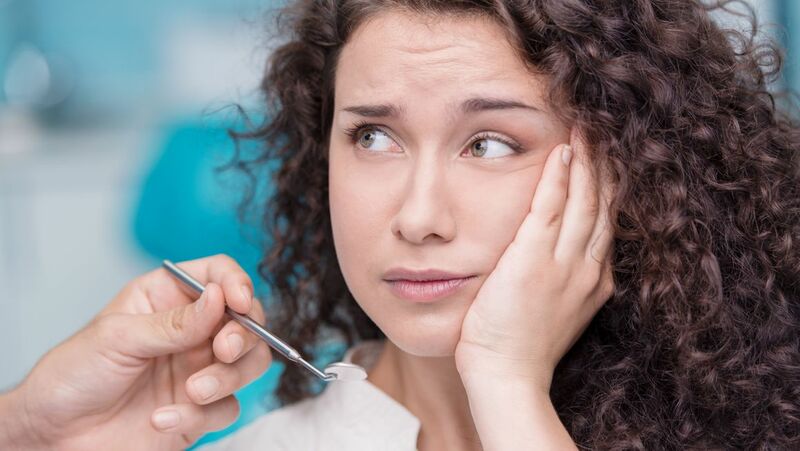 For some people, this feeling of anxiety around the dentist is so strong that they refuse to get the oral care they need, even if they’re in great pain. Human teeth are an endlessly interesting topic. Simple questions like why they are white and why that colour can change have surprisingly complex answers. Do you snore loudly? Do you feel exhausted no matter how much sleep you get at night? If you’ve received a diagnosis of sleep apnea from your Red Deer doctor, there are several devices that will help you live with this condition. They vary in comfort and ease of use, so we’ve prepared a guide to help you figure out what’s what.